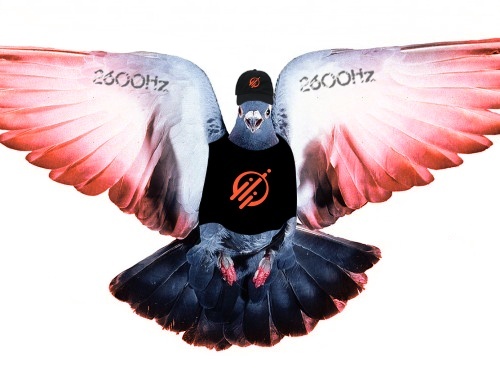 San Francisco, CA - April 1st, 2016 - With skyrocketing demand for integrations between different services, 2600Hz is staying ahead of the competition with a unique integration named “Carrier Pigeons”. This service allows customers to place calls to a specific number/extension where you then leave a voicemail. 2600Hz seamlessly transfers the voicemail to a thumb drive. Via automated, scalable, elastic engineering robots, the thumb drive is attached to a pigeon who is dispatched automatically to the specific location determined by the extension. Using 2600Hz Mobile services, Carrier Pigeons are tracked via GPS until they reach their destination. Their progress is shown in an amazing user interface, the Monster Pigeon app. 2600Hz’s Co-Founder Darren Schreiber explains “We’ve seen what employing contract workers has done for the transportation industry, with services like Uber and Lyft. We see no reason why this can’t be adopted in the communications industry. The challenge in our industry is that people want their voicemail messages quickly - faster than a person or a car can deliver the message. We realized that Carrier Pigeons were a natural choice." The program is in Beta and is invite only. Project “Carrier Pigeon” will launch publicly in the next couple months. 2600hz has already received multiple Silicon Valley investment offers and hopes to display the technology live, on stage, at TechCrunch, with other successful projects such as Pied Piper.